5 August 2011 – NASA’s Juno spacecraft blasted off from Cape Canaveral aboard an Atlas V rocket, beginning a five-year journey to the Solar System’s largest planet, Jupiter. 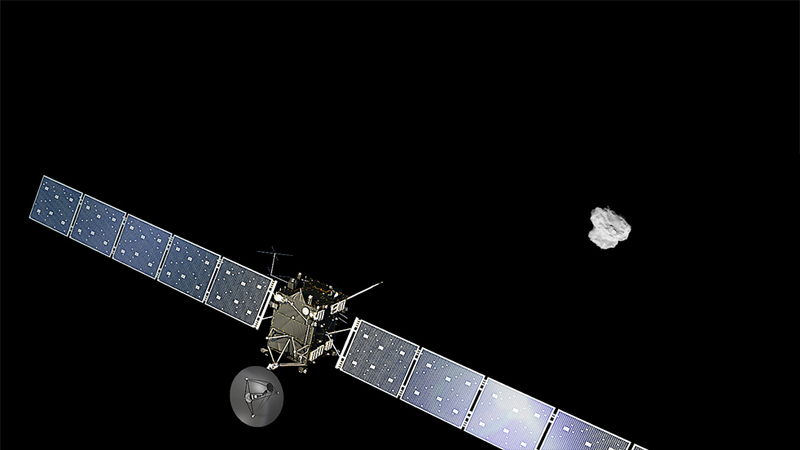 The 3.6-tonne spacecraft is scheduled to arrive in July 2016. The name ‘Juno’ isn’t an acronym or a reference to the Ellen Page/Michael Cera comedy movie. In Roman mythology Juno was the wife of Jupiter: When Jupiter drew a veil of clouds around himself to hide his mischief, Juno was able to peer through the clouds and reveal Jupiter’s true nature. Similarly, the Juno spacecraft will look deep into Jupiter’s obscuring cloud cover – http://www.nasa.gov/mission_pages/juno/news/juno20110805.html. The god Jupiter drew a veil of clouds around himself to hide his mischief, and his wife, the goddess Juno, was able to peer through the clouds and reveal Jupiter’s true nature. The Juno spacecraft, safely enclosed in the payload fairing at the top of an Atlas V rocket, begins its journey to Jupiter with a spectacular midday launch. NASA’s New Horizons spacecraft snapped this beautiful silhouette pic of Pluto’s night-side on 15 July, when it was about two million kilometres past the charismatic dwarf planet. The soft glow is the result of sunlight being refracted through Pluto’s atmosphere, which is thought to be composed mainly of nitrogen (like Earth’s atmosphere), with smaller quantities of carbon monoxide and methane present. Pluto sends a breathtaking farewell to New Horizons. 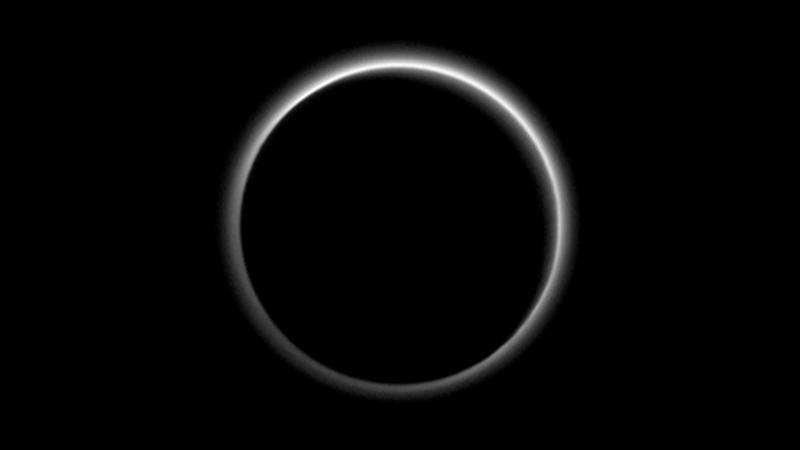 Backlit by the sun, Pluto’s atmosphere rings its silhouette like a luminous halo in this image taken by NASA’s New Horizons spacecraft around midnight EDT on July 15. This global portrait of the atmosphere was captured when the spacecraft was about 1.25 million miles (2 million kilometers) from Pluto and shows structures as small as 12 miles across. The image, delivered to Earth on July 23, is displayed with north at the top of the frame.